Full disclosure: I do contract marketing work for CalCedar to promote Pencils.com and and the California Republic Stationers brand on social media. Though I am not being paid to write this post for Woodclinched (my personal blog), I’ll refrain from reviewing the performance of this pencil, past a few general statements about it. So I was getting ready for work this morning; a dark gloomy day in Indiana, when my doorbell rang. It was the FedEx woman, she she was bringing me a package from Pencils.com! Suddenly, the sun came out, and the bird started singing! I opened it right up, and checked out the pencils. I didn’t have a lot of time to examine them, but I grabbed an original Eberhard Faber Blackwing from my desk drawer and one of the new Palomino Blackwing 602 pencils, and headed out the door. Because Grant was kind enough to send me a pack of pink erasers, I popped one into the signature Blackwing ferrule, and took some side-by-side photos of the new 602 with the old. 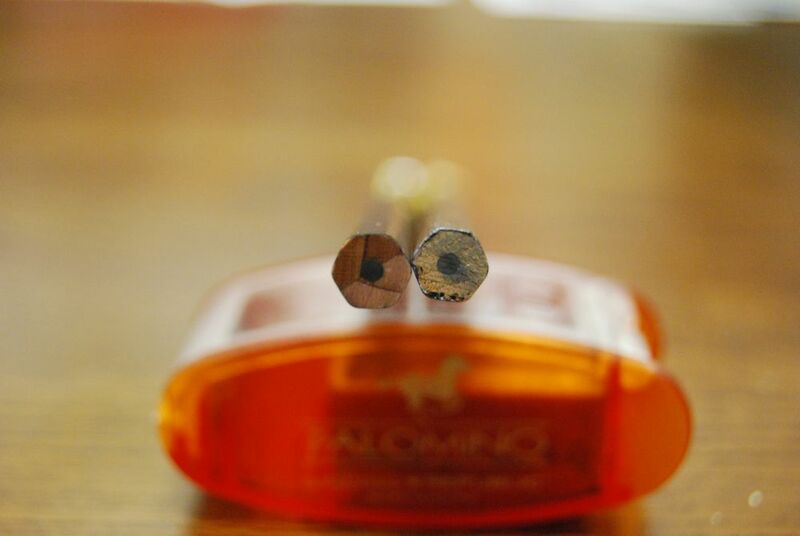 So, without getting into details, it does indeed feel firmer than the Palomino Blackwing, but smooth and dark just the same. The real test will happen after Monday, when I’ll be in two or three meetings taking notes. Here are a few pictures — as I’ve said many times, I’m not the best photographer out there, especially with something as hard to shoot as pencils. 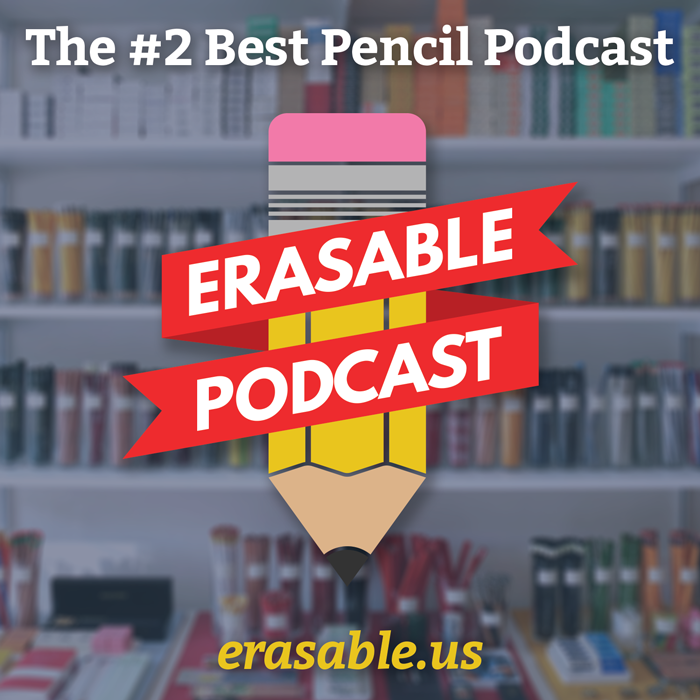 Questions about the pencil? Leave ’em in the comments. Otherwise, check out the product page on Pencils.com! Wow. Has it really been since January 7 since I last posted? I’ve been a bad blogger. I like talking about pencils. I like writing about pencils. I don’t really like selling pencils. Don’t get me wrong. CalCedar is a great place to work. WoodChuck and my colleagues are motivated, friendly, and — best yet — love pencils. And while I’ve been happy living my passion these past few months, it tuns out that when I’m thinking about pencils for 40 hours a week, even I get a little burnt out. Plus, I really missed my local nonprofit community. That’s why effective Friday, I’ll be ending my job as Marketing and Promotions Coordinator for Pencils.com. I will still maintain a relationship on a very part-time basis, managing their social media and developing relationships with bloggers. That’s what I find most fulfilling and what I think I’m best at. Meanwhile, I’ll be starting a full-time gig at a brand-new local arts and culture nonprofit. That’s my professional passion. I’m lucky enough to be able to pursue my passions in life, which is rare. And I’m lucky that my friends and colleagues at CalCedar still want me to be part of their amazing dotcom venture. All around, I’m a lucky person. Thanks for bearing with me! Hopefully this will mean that you’ll be seeing more from me on this blog. I have a few reviews coming up, and some news items. 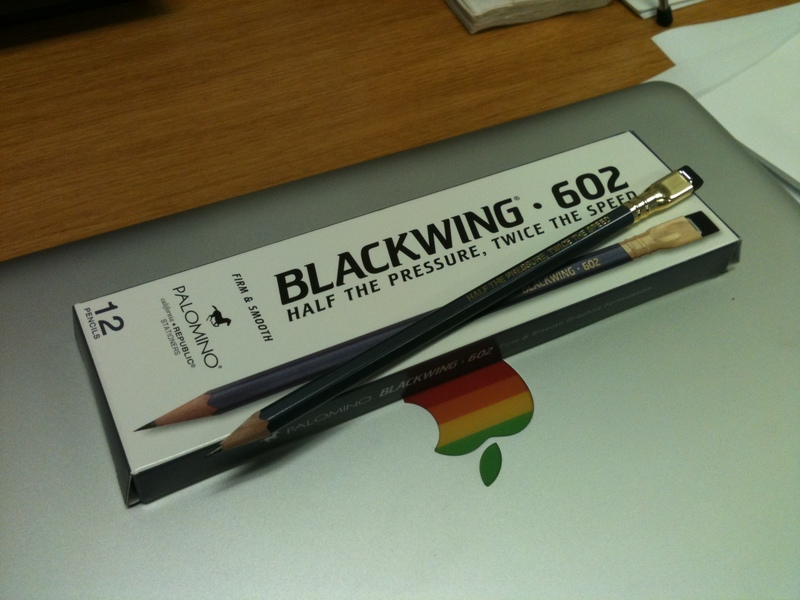 The brand-new Palomino Blackwing gift set. I got a good look at it during my visit. See end of post for a link. Whew! It’s been a busy couple of weeks for this humble blogger. My blog silence is not an indication of having nothing to talk about, but merely me not having much time for anything! I went to California for a few days last week, to visit a friend and also to visit someone I’ve wanted to meet for a long time, WoodChuck. I was fortunate to be in Stockton and hang out a little bit with Charles Berolzheimer, President and CEO of California Cedar Products. 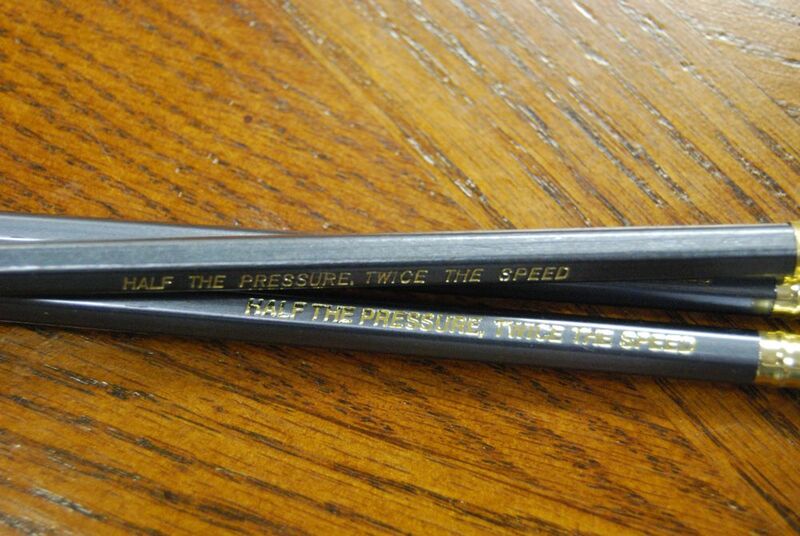 We all know the organization as the maker of California Republic-brand pencils, like the Golden Bear, the Palomino, and the oft-talked about Palomino Blackwing. They also own and operate Pencils.com, which sells products as well as maintains a large resource for pencil enthusiasts. He showed me their offices, warehouse, some products we don’t see every day, and even took me to the Duraflame offices (his brother is the president and CEO), which are on a decommissioned ferry boat! I even got a look at his amazing pencil collection. When your business is to supply cedar slats to many pencils companies globally, they send you lots of awesome samples. And since his family has been doing this for at least three generations, he has some incredible old pencils. Of course, bad blogger that I am, I have no pictures to share with you. I told him that I want to spend two hours in his office with a DSLR camera, and I’d be set with blog posts for a year. Maybe that’ll happen next time I’m in Stockton. I also went to San Francisco, rode some cable cars, ate some great food, and bought a few pencils and notebooks I can’t find in the midwest. Look for that soon! I wanted to link to the Palomino Blackwing gift set, but apparently WordPress doesn’t let me place a link in a photo caption. Here is that link. As you may or may not be aware, California Cedar is reviving the Blackwing brand! The pencil community is all astir with excitement about it. Building up to their release, CalCedar’s Charles Berolzheimer (or “Woodchuck” as he is known on his blog) is writing a series of posts about the “why” of their decision to lead up to the product release. While I try to figure out how I’m going to do a video review of my new strange pencil sharpener, I think I’ll discuss the first of these articles. This is really interesting, and so true. Office Depot sells a dozen plain yellow pencils for about the cost of a single CalCedar Palomino pencil, so most consumers would go out and buy the Office Depot brand, right? Not many people, it seems, see a quality difference that would justify the cost of a Palomino, although they are worlds apart to me. This article linked to a past Pencils.com article about the economics of pencil-making. This was interesting, too, although it was more of a list. 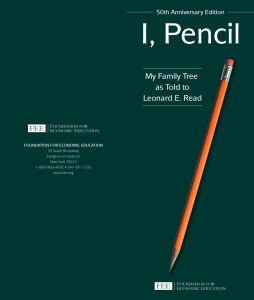 It did reference an old, fairly famous essay by economist Leonard Read called I, Pencil, where he discusses the globalization of something even as straightforward as a simple pencil. I, Pencil, simple though I appear to be, merit your wonder and awe, a claim I shall attempt to prove. In fact, if you can understand me—no, that’s too much to ask of anyone—if you can become aware of the miraculousness which I symbolize, you can help save the freedom mankind is so unhappily losing. I have a profound lesson to teach. And I can teach this lesson better than can an automobile or an airplane or a mechanical dishwasher because—well, because I am seemingly so simple. Simple? Yet, not a single person on the face of this earth knows how to make me. This sounds fantastic, doesn’t it? Especially when it is realized that there are about one and one-half billion of my kind produced in the U.S.A. each year. The article was written in 1958, so the statistic at the end of the quote may be a bit different. Anyhow, to get back to the crux of WoodChuck’s article: if pencils are a globalized commodity, land where price- and quality-slashing is king, how do you manufacture and market a high quality, fairly expensive (I’m assuming) product? I think he has the answer. After all, he’s been doing it with the Palomino brand all along. Since we launched our California Republic range my vision has been to establish our premium quality Palomino brand as fresh, new and fun, with great quality and safety performance. This has been a gradual and experimental process mostly conducted over the internet and in my spare time when not attending to our core slat and firelog businesses. Nevertheless we are building a small, but growing fan base and our recent Pencils.com website redesign is helping to move this ball forward with our “Freedom of Expression” theme as well as expanded features and products. 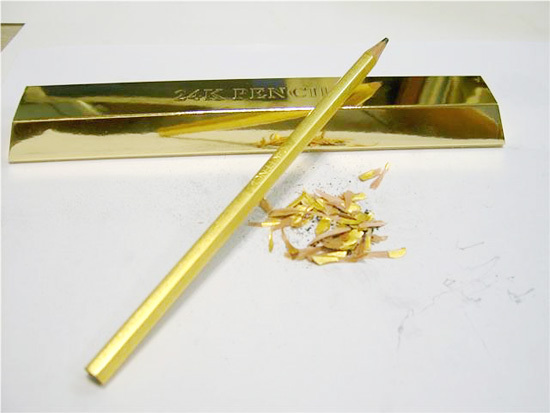 In our view the pencil is perhaps the most common and affordable tool of creative self-expression used around the world. It may not have the reach of the internet, but there is a personal sense of connection to writing, drawing, sketching or doodling with a pencil that for many cannot be matched by typing on a keyboard or drawing with a stylus on a computer screen. For us, Palomino is an important part of enhancing “freedom of expression”, but we know finding your favorite instrument of self-expression is a personal journey and so in time we’ll be featuring even more pencils from other producers who use our slats in our store. Making it personal — offer choices as part of a “personal journey”. It works for me. Admittedly, these are the conclusions I came to on my own before ever hearing of the Palomino or any of the other California Republic brands. It seems obvious to me that the writing experience of a Palomino (with the highly lacquered barrel, incensed strong wood, hearty but effective eraser, and smooth and dark lead) trumps a cheap feeling Office Depot pencil any day. But there are some people who must be convinced. 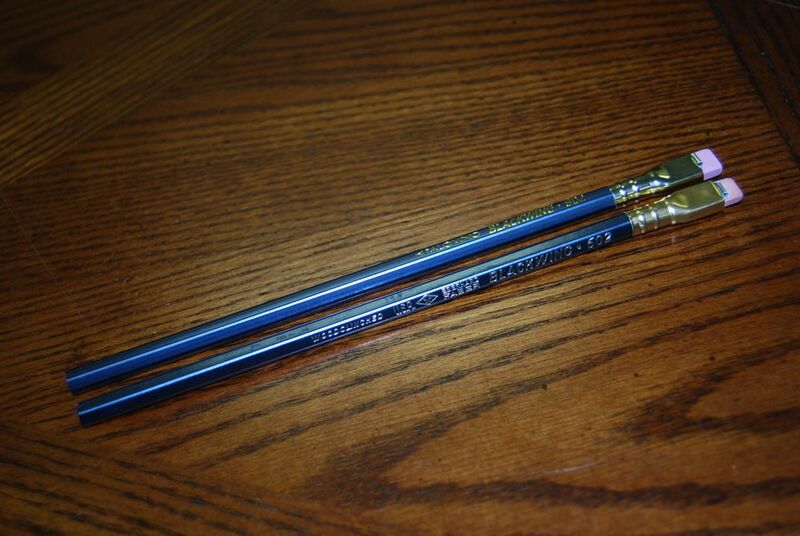 Is it wrong to buy cheap pencils when they could be paying more for an experience? Well, I don’t work for CalCedar, so I say no. Is it wrong for someone to prefer Tang when they could be drinking fresh-squeezed orange juice? I may try to convince them to pay the price for a pencil as an experience rather than a tool, but I don’t think it is intrinsically wrong if that’s not how they feel.